You are here: Home / TIPS / 10 EZ Ways to Decorate Your Kitchen! FeastHome – On several occasions, people place too much attention on the interior decoration of their homes, leaving out the kitchen. Since the primary role of the kitchen is to reserve a space in which food is prepared, you can decide to make your kitchen a place that you would like to visit over and over again. There is more to making food in the kitchen, as your kitchen can become a comfort zone in which a lot of your guests may want to behold its beauty. Interestingly, you can decorate the interior part of your homes without leaving out the kitchen. So, you can expect your kitchen to have a good display of all decorative pieces, to the delight of your family and your friends. On this account, here are ten ways you can use decoration to bring your kitchen to life. 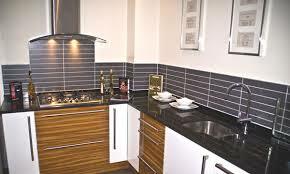 Tiles come in different designs, and it is not hard to find people using the ones with plain color in their kitchen. The ideas are that the kitchen does not need to be beautified. After all, what concerns the kitchen is making good food out of it. However, you shouldn’t be too quick to allow your kitchen to go with the plain color tile. Rather, you can discuss with your contractor to add something special to your kitchen to make it captivating, other than just the plain color you can find in most homes. You shouldn’t leave the wall of your kitchen blank without adding something that makes it appealing to live. There is nothing wrong with attaching a sketched work or a portrait, which gives your kitchen that lively look in the same manner with being in a sitting room. 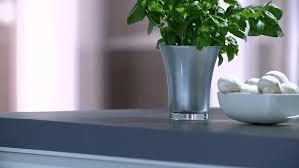 You can add a vase containing herbs to beautify your kitchen. The herb provides oxygen for your kitchen, being that is an area that generates a lot of heat. So, in order to keep the atmosphere in your kitchen fresh, a herb in a vase may just do the trick. You shouldn’t disregard the fact that your kitchen has to be lit to give it that extra special elegance, providing that dynamic touch of class to your kitchen. Lighting makes your kitchen attractive as well as set in the mood for you and your guests to engage in deep conversation while you are both treated to a special meal, courtesy of you. Inasmuch as you are preparing to make your kitchen free and neater, you can use your cooking utensil to create a captivating atmosphere. It is easy to spot the kitchen in a home, based on the aroma coming from there. However, you can make your kitchen different by styling your interior with pots and pans hanging on the wall, giving your kitchen a kind of wired but artistic look. This is the part that gets very exciting for the majority of families. For some families, everyone has a role to play in the area of ticking the items that are needed for the next grocery shopping. So with chalkboard paint on your wall, you can painstakingly follow every routine of what kind of food that needs to be served in the day and the coming days. Most kitchen designed come with wooden counter, which deteriorates after many years, owing to constant exposure to water. However, you can redesign your kitchen to have a granite filled counter which can stand the test of time, as well as give your kitchen a remarkable view. You can give your kitchen that remarkable touch by giving it that rustic appeal. You can get a couple of basket trays which you can hang on the wall. Apart from the good look that spices your kitchen up, you can use the baskets to keep your grocery in a cool and dry place. You shouldn’t leave the wall of your kitchen all blank with a monotonous painting. You can improve your wall with mural painting. Moreover, you can determine what should be painted on the wall. Let your wall set you in the mood to cooking like a professional chef, in the same manner, an artist will give out the best in a realistic portrait. 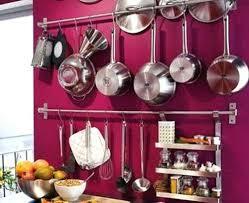 You can make your kitchen come alive by filling up empty ledges which have remained unoccupied for a while. You can get new plates, recipe books, or beautiful materials to fill cover up for the empty spaces, giving your kitchen that rich look of plenty. 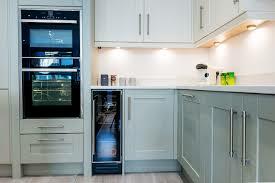 You can give your kitchen that transformation from that old look, which has made it unattractive for a very long time. These are a new set of ideas you can implement into building a new kitchen from an old one. You don’t have to be too quick to condemn the type of kitchen you have, by comparing it to your neighbor’s. You can follow these tips and see how your kitchen will get its lost appeal back. After all, nothing stops you from making that kitchen of yours a therapeutic haven.